I am inside one of those contented moments you don’t want to climb out of, so I’m stretching it out as long as possible. 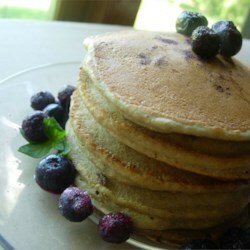 I just ate the most delicious version of this blueberry pancake recipe, still drinking some piping hot coffee (of the freshly ground, delivered-by-my-friend-from-her-coffee-farm variety), listening to some saturday tunes, watching the in-the-middle-of-makings of valentines crafts in my bedroom, and looking forward to great devotion hidden in the pages of 2 Samuel. Normally, when I sigh, it’s because I’m exhausted or exasperated (two ex words that describe me all too often). In this moment, I’ve got a whole lot of sighs in me, but they are the okay kind. I forced myself to stay in bed this morning at least an hour longer than what is Saturday normal for me, because yesterday I left my contacts in too long and my eyes revolted red. That didn’t surprise me – the redness – because my eyes are sensitive. What DID surprise me was waking up this morning and seeing that the eye drops I put in last night before going to sleep was actually nasal spray. Ha! But even that didn’t break into my beautiful, extended, sigh-worthy moment this morning! That’s when I decided that some weeks need days like these. UPDATE: Proof positive that all our sinuses are connected – I put nasal spray in my eyes last night and all day my nose was super runny! Next Post Next post: reasons to shout hooray!